One of the jewels of the United Kingdom is the city of Edinburgh which is the capital city of Scotland and is considered as the most desirable city to live in this country. It is also one of the most picturesque cities of Europe because of its spectacular setting and Medieval and Gothic architecture which attracts millions of tourists yearly. Next to London, it is the most visited city in the whole of the United Kingdom. Edinburgh is referred to as the Athens of the North because it is one of the seats of the Enlightenment, comparable to the Greek city of Athens. Every street of Edinburgh speaks of its rich history and heritage that is perfectly combined with the contemporary tastes of Europe. As such, every step through its beautiful landscape is a treat for the senses. The best time to travel to Edinburgh is during springtime when the assortment of colors cast a dreamy glow over the city. Climate is can be unpredictable but usually is pleasant and ideal. Like its vibrant colors, the people of Edinburgh are lively, fun-loving and very welcoming. Tourists flock to this beautiful city because of the historic towns and scenic villages that are scattered throughout. 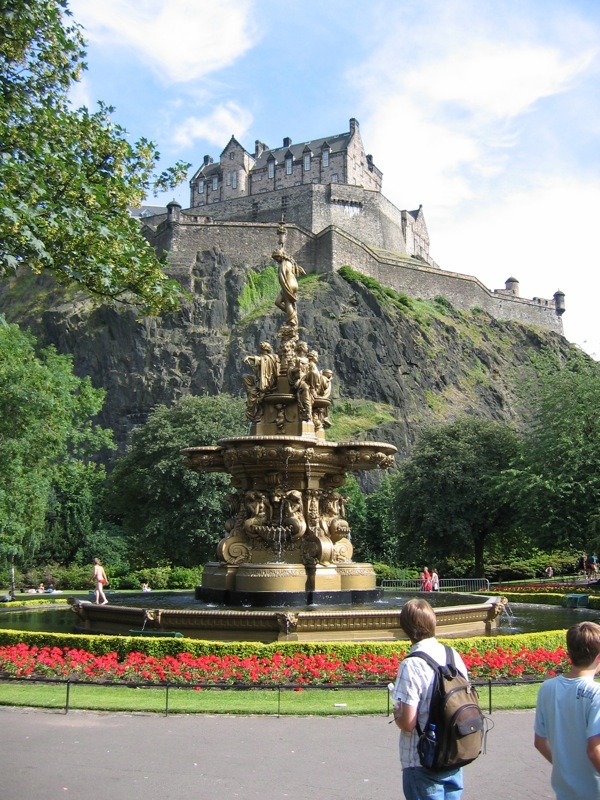 The heart of Edinburgh’s attractions is Edinburgh Castle which is located in an extinct volcano and houses buildings that have been built as early as the 12th century. This is where the famous celebration of the Military Tattoo is held. The palace of Holyrood House, home of the famous Mary the Queen of Scots, is another must-see in Edinburgh. It is the official Scottish residence of the royal family and boasts decorated rooms that depict the tastes of its previous and present occupants. Visitors also do not fail to visit the Royal Botanic Garden which is famous worldwide for its variety of flowers that are found all over the world. Other beautiful sights include the National Gallery of Scotland and the Edinburgh Museum which is home to the cultural heritage of the Scots. Another popular spot is the Edinburgh Festival Theater, where the Edinburgh International Festival is held and most of the theatrical and musical performances take place. A succession of beautiful streets compose the main of the Old Town with the Royal Mile is the busiest tourist spot in the Old Town. To really cover the best of Edinburgh, tourists usually take guided tours that include food and transport where they are taken to the beautiful attractions of the city. With the beauty and diversity of Edinburgh, a few days are not enough because one can never get enough of this picturesque Scottish city that has captivated millions of tourists worldwide. No wonder Edinburgh Castle is Scotland’s most popular visitor attraction, the tours are really interesting and you can even see the Scottish crown jewels, great day out.